Haq's Musings: Deeply Religious People Profoundly Ignorant About Religion? I have often wondered that if the Taliban, al Qaeda militants and their sympathizers really understood the teachings of Islam, would they commit or endorse some of the most horrific acts of murder and mayhem against innocent civilians, and then justify such acts based on religion? I have also had similar questions in my mind about the hateful words and actions of some of the followers of other faiths as well. It seems to me that answers to my questions are beginning to emerge from a recent Pew survey that concludes that deeply religious people are also deeply ignorant about religion. What is even more surprising about this poll is that atheists are more knowledgeable about religions than the self-professed deeply religious people. 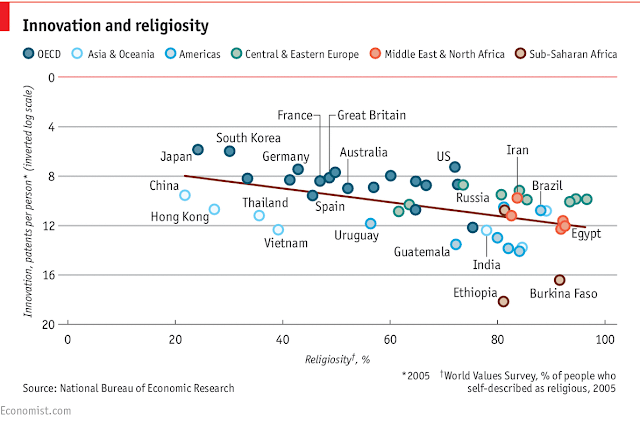 A Pew poll conducted in 2002 showed that the United States stands out as the most religious among the wealthy western nations for the religiosity of its people. 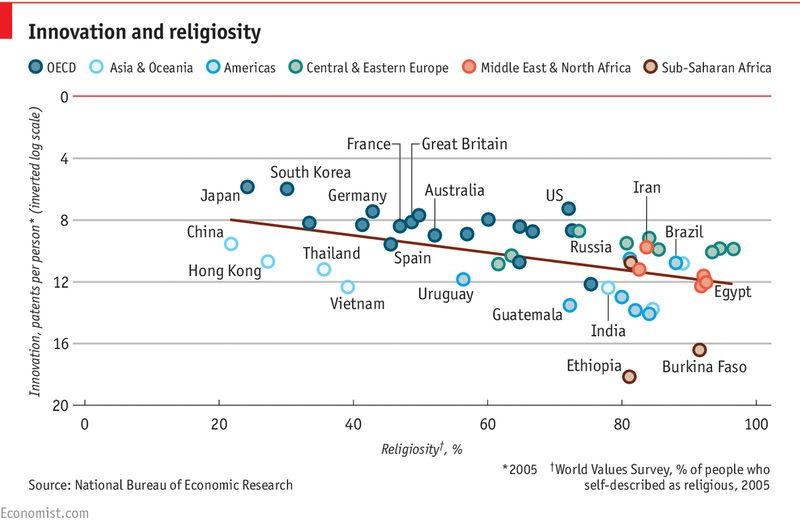 Religion is much more important to Americans than to people living in other wealthy nations. Six-in-ten (59%) people in the U.S. say religion plays a very important role in their lives. This is roughly twice the percentage of self-avowed religious people in Canada (30%), and an even higher proportion when compared with Japan and Western Europe. Americans' views are closer to people in developing nations, such as India and Pakistan, than to the citizens of developed nations. The poll showed that 92% of respondents in India and 91% in Pakistan say religion is important to them. A new poll conducted by Pew now reveals that Americans are by all measures a deeply religious people, but they are also deeply ignorant about religion. Gallup Poll of Americans: Bible Literal? Or Fables? * Fifty-three percent of Protestants could not identify Martin Luther as the man who started the Protestant Reformation. * Forty-five percent of Catholics did not know that their church teaches that the consecrated bread and wine in holy communion are not merely symbols, but actually become the body and blood of Christ. * Forty-three percent of Jews did not know that Maimonides, one of the foremost rabbinical authorities and philosophers, was Jewish. I am not aware of a similar survey ever done in Pakistan to gauge Pakistanis' knowledge of Islam in particular, and other religions in general. I think such a survey would be a worthwhile exercise. I have contended for many years now that religion (especially Islam as I know more about it than any other) actually promotes ignorance. One of the reasons I believe is that most of the religions promotes respect (read obedience) of so called religious scholars and century old scriptures which snubs curiosity and search for other views and ways. As an example, a vast majority of Muslims believe (at least outwardly) that the Quran is a "Complete" book, hence no need to read anything else. Mohammad (a.k.a. DC) don’t make a fool of yourself. “Islam promotes ignorance”, 1400+ years of Islamic history negates your comment. It would help if read a few history books (other than Hindutva/islomophobic crap). You asked, "I am not aware of a similar survey ever done in Pakistan to gauge Pakistanis' knowledge of Islam in particular, and other religions in general. I think such a survey would be a worthwhile exercise. " Most likely, there isnt a formal survey result set available on Pakistanis. It is, however, not too difficult to estimate what they feel and where they stand - these are reactive times and most viewpoints start with, "but they do xyz too." As a side note - given the many requests i got recently to donate towards a mosque in Saratoga i can safely surmise that ignorance and wealth are a potent combination (your essay validates it too). Why blame only the savage Taliban? I was stunned by two of the donation rationales i got, "have you seen the number of churches in Saratoga?" and "our children need to be exposed to the good Islam." I wonder if these folks consider themselves ignorant ... beware the Pew researchers, the wrath of the wealthy Saratogans is simmering and will spew venom if told a new mosque is not the most pressing need of our people and youth. Common sense, tolerance and informed living might do them a lot more good. 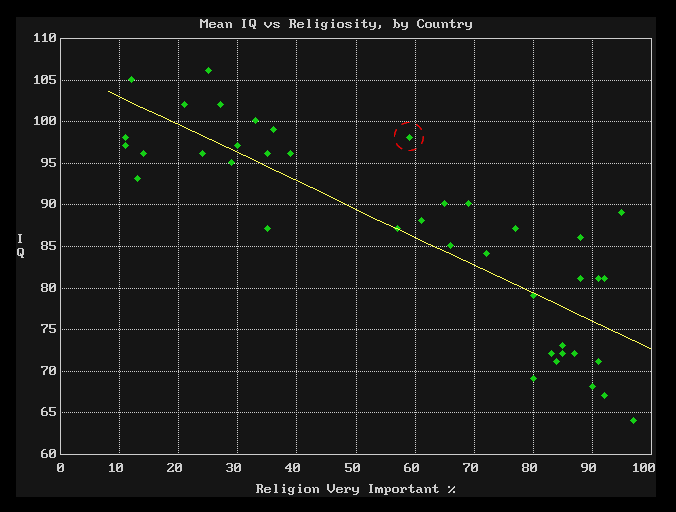 Or, based on this study, a donation to make Muslims agnostics might be better? By the way, the local temples now now have an affinity card with a Visa bug and pictures of religious sites. The wise and wealthy (ignorant too) are filling applications to get the pious card ... perhaps the same can be done for the ummah too. A wise and wealthy person may need to figure a way to convince issuing banks and Visa to not charge interest!! Oh, by the way, I dont need a donation to provide a service to move beyond the religiosity narrative. There is a comprehensive survey available on Islam. Enjoy. Any country which has given undue importance to religion has fallen on hard times economically and culturally. Even in the US which superficially is an exception most of the innovation usually happens in places like California and New england. I am yet to hear of a great scientific or philosophical beakthrough in the bible belt. ALL religions if interpreted and practised literally in the 21st century will create idiotic situations because the scriptures in the literal sense address concerns of primitive pre industrial and largely illiterate societies when most major religions were founded. Somehow islamic countries don't seem to get them.Even in India the vast majority of Hindus even the virulently anti Muslim varities view Hinduism as an ethnic identifier.Nobody not even the BJP,RSS or VHP want Indian laws to be based on the Mahabharata or Ramayanas and other epics. But somehow many educated muslims actually believe that Koran is god's law and Hadiths are the biographies of his final messenger therefore every law has to be an interpretation of the Koran and the Hadiths since man has no right to legislate laws he can only interpret them!! Can you prove it? 1000+ years of Islamic history proves you wrong. Cultural ups and downs are part of history, they have nothing to do with religion. “What goes up must come down” is the law of history, just like the law of physics. Mahabharata and Ramayanas do not give special instruction about society, culture and economy. Quran does, so comparison is irrelevant. Second, ever heard of Hindu inheritance law? 3: But somehow many educated muslims actually believe that Koran is god's law and Hadiths are the biographies of his final messenger therefore every law has to be an interpretation of the Koran and the Hadiths since man has no right to legislate laws he can only interpret them!! First, believing that Quran is the word of God is the essential tenant of faith for Muslims. One wouldn’t be a Muslim if s/he didn’t believe that Quran is the word of God. So basically you are accusing Muslims that they are “not” hypo crates, since they believe what they are supposed to believe. Second, Quran provides fundamental guidelines for law, which believers have a right to interpret according to their circumstances. Why is it Ok for Muslims to follow Roman law imposed on us by colonial rulers but not follow the law majority of them believe in? 4: I am yet to hear of a great scientific or philosophical beakthrough in the bible belt. Ever heard of a thing called airplane? It is a flying machine, takes people from one place to another. Was invented by two brothers in North Carolina (a state in the bible-belt). I did not post as Mohd (the first post). I sign off as DC and when I can't login to my aol account, I post anonymously but mention myself. "One wouldn’t be a Muslim if s/he didn’t believe that Quran is the word of God. " Correct and that's why the western world is increasingly wary of muslims because they know that no muslim can ever be a friend of christian/jew. No muslim can ever believe that christians and jews will go to jannat because the glorious quran is explicit in its hatred of non muslims. You want me to quote the verses. Some God he is who seem to hate everyone who chose not to believe someone calling himself as messenger of God aka Prophet Mohd. 2: Some God he is who seem to hate everyone who chose not to believe someone calling himself as messenger of God aka Prophet Mohd. Christians believe that I will go to hell because I don’t accept Jesus as my savior, do I care? So why are you so insecure? This is what quran says about unbelievers, christians and jews. "2:90 Evil is that for which they sell their souls: that they should disbelieve in that which Allah hath revealed, grudging that Allah should reveal of His bounty unto whom He will of His slaves. They have incurred anger upon anger. For disbelievers is a shameful doom. " "2:39 But they who disbelieve, and deny Our revelations, such are rightful Peoples of the Fire. They will abide therein." Qur'an (3:28) - "Let not the believers Take for friends or helpers Unbelievers rather than believers: if any do that, in nothing will there be help from Allah: except by way of precaution, that ye may Guard yourselves from them..." This last part means that the Muslim is allowed to feign friendship if it is of benefit. Renowned scholar Ibn Kathir states that "believers are allowed to show friendship outwardly, but never inwardly." "do I care? So why are you so insecure?" Am I? I am contemptuous of our religion. Yes let’s cherry pick. Nothing new here, congratulations you have learned how to cut and paste. “I am contemptuous of our religion.” Do your fellow Hindus know about it? The Islamic world at its zenith was way way less religious than the west.When the west had inquisition and witch burnings you had a liberal society infact the divorce rate was 34% in Baghdad in the 11th century.You had books like arabian nights and perfumed garden but no Fatwas being issued against them or wide eyed mullahs out to kill the heretics. Bottom line:The islamic world was much more advanced than the rest between the 8th and the 13th century BECAUSE it was operationally the most liberal place to live in relative to the rest of the world. Yup that's the exact attitude I'm talking about! Good point but occasional exceptions aside is it your argument that the bible belt is a well spring of innovation and creativity to rival the US west coast and new England? The Aeroplane may have been created in North Carolina but there is a reason Boeing,Northrop Grumman and the like aren't based anywhere near there. Bottom line i.e economic progress and creativity is inversely proportional to the importance to religion that a country/region attaches still holds. 1: Bottom line: The islamic world was much more advanced than the rest between the 8th and the 13th century BECAUSE it was operationally the most liberal place to live in relative to the rest of the world. Agreed, yet it was based on Sharia law. 2: Yup that's the exact attitude I'm talking about! Basically you have no answer. 3: The Aeroplane may have been created in North Carolina but there is a reason Boeing,Northrop Grumman and the like aren't based anywhere near there. Ever heard of place called Huntsville Alabama? Familiar with the role it played in NASA’s space program? Religion ... opium ... what was that again? It was an assembly operation there most of the high end work happened elsewhere and besides the brains behind the operation weren't the product of Alabama/bible belt society. So my point of libralism and lack of religosity=conditions for progress stands. For every one such example I can give you 20 so lets not be obstinate.California and Massachusets are wayyy more advanced than ANY bible belt state. Mr. Haq, isn't religion that which those who claim to be adherents, practice? I mean, can we or ought we accept that we must leave religion blameless and instead put all blame on adherents for the failing of religion - - Did communism really have no relationship with what cummunists did ?? Can we say with credibility that communism is not bad , but communists are? anon: "isn't religion that which those who claim to be adherents, practice? I mean, can we or ought we accept that we must leave religion blameless and instead put all blame on adherents..."
I am not talking about separating religion from all of its adherents...but I am arguing that we must not allow a small minority of extremist Muslims to define and represent the mainstream Islam and all of its followers. In other words, I see the hard-core Taliban and al Qaeda as an aberration within Islam that the rest of us must reject to reclaim our faith from them. See, that begs the question, who and what are Muslims? And this is where the Wahabi Takfiri are very powerful - in other words, they have developed an entire ideology, that answers questions such as WHO are Muslims (and therefore who is/are not) They even have answers to What are Muslims (Do's and Don'ts) They even have an answer to what is the most captivating aspect of politics among Muslims (who are a terribly diverse peoples), namely the politics of IDENTITY -- In addition, they have a political/judical/governance answer as well - a system, if you will. What is it that the rest of us have? our objections? anon: "See, that begs the question, who and what are Muslims? And this is where the Wahabi Takfiri are very powerful - in other words, they have developed an entire ideology,.."
I believe in a much more inclusive approach to faith that excludes only the very fringes who are engaging in extreme violence as a means of intimidating their fellow Muslims and the rest of the world. Such inclusiveness is necessary as a means to serve the best interests of the largest numbers among Muslims who as you rightly said are very diverse in terms schools of thought (Fiqh), ethnicity, race, culture, etc. There can be and there needs to be unity in diversity for the peaceful and progressive followers of Islam to live and let live in a a highly diverse world of many faiths, races, cultures, etc. That is something we are lacking in the Muslim societies today. Specially the narrow minded believe that what I think is correct and everyone else is wrong is incomprehensible. There is definitely a need to re-interpret the scriptures according to the modern times. I think Tariq Ramadan has already started some work in that direction. anon: "There is definitely a need to re-interpret the scriptures according to the modern times." Yes, and there is a mechanism provided within Islam called "Ijtihad" to do such interpretation according to the context. Such re-interpretation has to be done without abandoning the basic principles of Shariah, including Iman and justice. 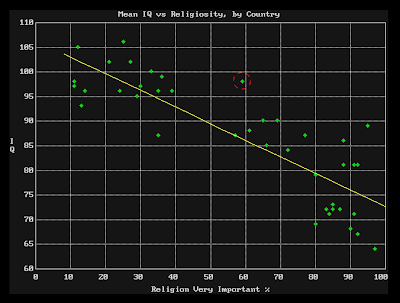 "I am yet to hear of a great scientific or philosophical beakthrough in the bible belt." Ever heard of a philosophy called Bushism? Its not just about being dyslexic and funny. It is a philosophy that had lead USA to the part of Biblical theocracy. While you are at it it would be good if muslims particularly from regions outside the middle east would come to terms with their pre islamic past. Pakistanis for instance are brought up to hate Hindus in their school textbooks and thus deny all history prior to the 7th century on current Pakistani territory. Taxila university is in Pakistani territory as is the erstwhile kingdom of porus and there are countless descriptions in middle eastern sources of the area now Pakistan being filled with idol worshippers in chronicles of adventurers from the middle east. That plus the fact that physically it is very difficult to distinguish between a Indian Hindu Sindhi/Punjabi from his muslim counterpart in Pakistan means that the overwhelming majority of Pakistanis have ancestors who were Hindus/Buddhists who converted(how is disputed) to Islam. Indonesians by contrast have no problems with their Hindu past which is why in the world largest muslim country you have names like 'megawati sukarnoputri',their national airline is called 'Garuda' and Ramayana and Mahabharata have national epic status. This was the crux of an article in the dawn newspaper criticizing the 'we are all descendants of turks,persians and arabs' myth that many Pakistanis seem to be very attached to. Your views on this would be appreciated. "Yes let’s cherry pick. Nothing new here, congratulations you have learned how to cut and paste. " Ali Sahib, the truth is you have no answer to this "cherry picking". And this is only a sample. Quran is full of such hatred. A Pakistani murtad like me summed it up fine "it looks like to have been written by an angry college student, in which nothing is described in detail, except punishment". LOL. Talibanis and self appointed mullahs are only following that hatred. You can't blame them without blaming the book they read. Riaz: Once again my thanks for allowing me to express my views. Sincere thanks. In addition to ignorance there is the "pseudo knowledge" wherein even university professors assume that what they hear from disgruntled ex-followers is often gospel truth, especially in regards to Islam. Khaleel: "In addition to ignorance there is the "pseudo knowledge" wherein even university professors assume that what they hear from disgruntled ex-followers is often gospel truth, especially in regards to Islam." I absolutely agree with your statement. There is a lot of misinformation, even deliberate disinformation about Islam, floating around in the academia, the mass media and the cyberspace. It only makes matters worse for all of us. Riaz if you don’t want to publish the previous comments then please publish these. here you all discuss the cases regarding Islam but same is the case in Hinduism. There has been lot of misinterpretation of the holy text. I don't have any problem with Islam as I think Islam is not what the handful of Islamic insane extremist are portraying (like al-qaeda & taliban). I have many muslim friends & they are really nice & loyal people & through them I inquire about Islam. Similarly some handful Hindu extremist are portraying bad picture of Hinduism. We should understand before being a good Hindu or a Muslim we have qualify as a good human being first. The history of Islam in India is interesting. Islam practiced in India was one of the most non-violent strains of Islam. One of the biggest reasons for this was that it got inspired by the local customs and ideas of tolerance embedded in the Indian culture. Sufism had infact more in common with Hinduism than other strains of Islam. Now, that Pakistan was born on the basis for Islam the narrative suddenly changed. Many in Pakistan reject anything India-influenced like practices of visiting Sufi shrines. Many cities have banned Basant, for god sakes, citing danger of sustaining an injury. But, they forget many many die during stampede during Hajj every year. Are they going to ban Hajj? The Islam practiced in India today has under gone change but an en-lighted Muslim realizes that Pakistani interpretation of anything related to Religion is flawed. It is still under heavy influence of tolerant Hindu culture. For example of tolerance, there is no Indian Muslim in Al Qaeda. Having th3 3rd largest Muslim population isn't this odd? Have a look at the tolerance displayed in my home state Karnataka. Islam must be indebted to India for cleansing it of Arab influence which Pakistanis love to adopt. Hence, Pakistan is in for a rough ride. Pakistan may geographically belong to the Sub-Continent but they have more in common with Arab states than India. They get getting close to being Arabs everyday. Many must be thrilled. Hoping you will publish my comment. Thanks. Only 3 in 10 Americans believe Bible is literally the word of God, according to Gallup poll. Three in 10 Americans interpret the Bible literally, saying it is the actual word of God. That is similar to what Gallup has measured over the last two decades, but down from the 1970s and 1980s. 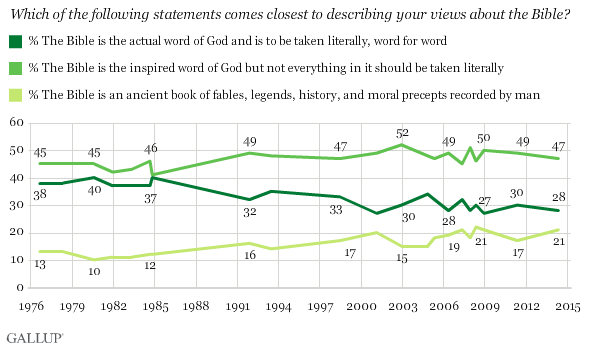 A 49% plurality of Americans say the Bible is the inspired word of God but that it should not be taken literally, consistently the most common view in Gallup's nearly 40-year history of this question. Another 17% consider the Bible an ancient book of stories recorded by man. Interesting - but where is the meat? Where are Xtian versions of OBL, Mullah Omar and Hakim Ullah Mehsuds' ? Owais: "Interesting - but where is the meat? Where are Xtian versions of OBL, Mullah Omar and Hakim Ullah Mehsuds' ?" Is Islam more violent than other religions? It’s no small thing that the Grand Mufti of Egypt Shaykh Ali Gomaa has acknowledged the permissibility of women leading men in prayer in the Western context after the persistence of female North American Muslim activists and scholars on the issue.